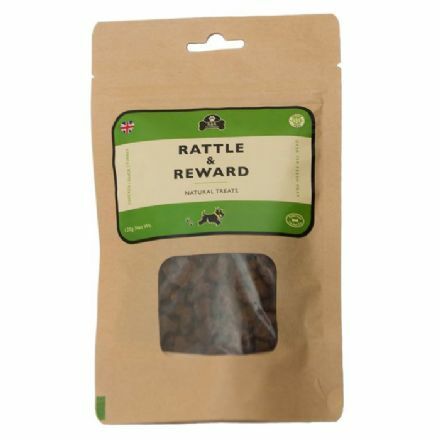 Rattle & Reward are a delicious treat perfect for walks, when training, or just about anywhere. 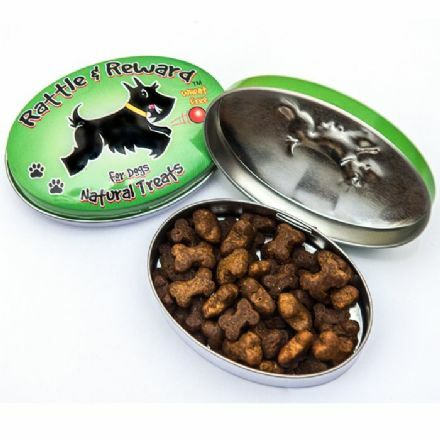 'An elegant pouch of delicious dog treats - resealable and also ideal for refilling your Rattle & Reward tins! Rattle & Reward's wholesome dog treats are grain-free and made with fresh duck, chicken and turkey!' Just shake the tin and watch your dog come running.